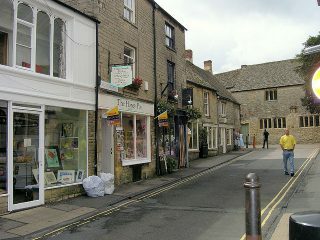 Broadsword Security provides the latest security measures to the characterful homes and small businesses throughout Stow-on-the-Wold. As a local security installer, we’re familiar with the particular issues faced by home and business owners in the area. Our price match policy means you will always get the most competitive price for your system, whichever one you choose. And to prove we’ll deliver a first-class service, all of our customers receive a 12-month warranty on their installed products, so you know you’re in safe hands. We’ve been securing properties throughout Stow-on-the-Wold for over 30 years now. Combining the latest in security technology with an experienced team, we’ll protect your home or your business premises according to its requirements, without detracting from its look or character. Our familiarity with the area enables us to advise you on the best kinds of systems suitable for you. See our full range of security systems below. The village is one of many beautiful locations nestled in the area, attracting visitors the year round. Regrettably this also makes it a target for criminal activity, meaning that it’s important you take the time to consider the security of your property. It’s easy to overlook these things but taking the right precautions now could save you lots of hassle and distress later on in time. If you don’t feel safe at home or you’d like to secure your business against criminal activity, get in touch. We’d be happy to help.